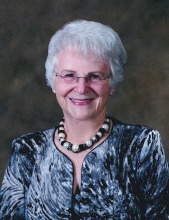 Retired teacher and guidance counselor Phyllis Ann Jones Cannon died April 6, 2019, a bit sooner than she would have preferred, since she didn’t have any great-grandchildren yet. But she was glad to leave behind the stage IV pancreatic cancer that upended her life two years ago. She was born in Marshall County, Kentucky, on December 14, 1941, a week after the Japanese bombing of Pearl Harbor, and as a young child saw her father sent to war. She grew up primarily in western Kentucky, with brief stints in Michigan and Missouri. In her teens, she met Walter Lane “Pete” Cannon on a blind date and immediately decided she wanted to marry him. But on their wedding day, she almost called the whole thing off: The vows used the word “obey,” something she didn’t intend to do. The minister found alternate vows, the ceremony went on, and the marriage lasted more than a half century. On June 1, 2019, she and Pete would have marked their 60th wedding anniversary. They built a life in Kuttawa, Kentucky, focused on faith and family. She played piano and organ at church and sang with her husband in a southern gospel quartet. Every week she and her family had Sunday dinner with her beloved mother-in-law, Gladyse Cannon, who became like a second mother to her. When she started college as a newlywed, the new bride found academics much less interesting than doodling her husband’s name in the margins of her notebooks. Years later, however, she discovered a knack for higher learning. After her children started school, she earned a master’s degree and beyond at Murray State University. She began her teaching career in Caldwell County, Kentucky, and then moved to the Lyon County school system, where she worked for many years. She taught elementary and junior high before becoming a math teacher and guidance counselor at Lyon County High School. She loved working daily with her students. Compared to teaching, retirement didn’t sound like much fun, so she was surprised by how much she enjoyed it. Traveling with her husband, she toured the California coast, rode horseback in Utah and decided not to kiss the Blarney Stone in Ireland. She moved to her dream home on 4½ rural acres, where she grew roses and raised two Yorkie puppies, Tia and Liz. She played in a local bridge club, where she was known to make at least a small slam on occasion. She taught Sunday school and led devotions at Kuttawa United Methodist Church, where she also sang in the choir, reflecting her lifelong love of gospel music. In April 2017 she went to the emergency room with chest pain, suspecting a heart attack. Instead, doctors found pancreatic cancer that had already spread to her liver and bones. She was expected to live only a few months, but she amazed her doctors by surviving 47 rounds of chemotherapy while continuing to shop, go to the ballet, visit the zoo, and generally embrace life. She died at Life Care Center of Old Hickory Village near Nashville, Tennessee, as her family held her hands and sang her southern gospel favorites. She was 77. In her honor, her family asks that Americans pray for the nation on the National Day of Prayer, May 2, 2019. She was preceded in death by her parents, Milburn and Marjorie Jones of Fairdealing, Kentucky, and her first child, Tressa Ann Cannon, who was stillborn. Besides her husband, she is survived by two daughters and sons-in-law, Lisa Cannon Green and her husband, Bob, and Veronica Cannon Hampton and her husband, Dana, all of Goodlettsville, Tennessee; four grandchildren, Emily Cannon Green of Springfield, Tennessee, Ethan Cannon Green of El Cerrito, California, Matthew Neil Hampton of Nashville, Tennessee, and Morgan Lane Hampton of Chattanooga, Tennessee; three brothers, Billie Eugene Jones and his wife, Dianna, of Calvert City, Kentucky, Robert Wayne Jones of Maiden, North Carolina, and Michael Casey Jones and his wife, Cindy, of Marshall County, Kentucky; and numerous nieces, nephews and cousins. A memorial celebration of her life will be at 2 p.m. Saturday, April 13, at Kuttawa United Methodist Church. Visitation will be from 1:00 pm to 2:00 pm at the church prior to the service. Lakeland Funeral Home in Eddyville, Kentucky, is in charge of arrangements. Memorial contributions may be made to the National Pancreatic Cancer Foundation Research Fund, P.O. Box 1848, Longmont, CO 80502 www.npcf.us. "Email Address" would like to share the life celebration of Phyllis Ann Cannon. Click on the "link" to go to share a favorite memory or leave a condolence message for the family.